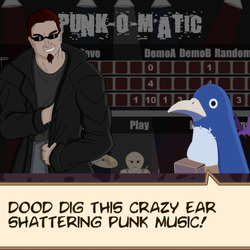 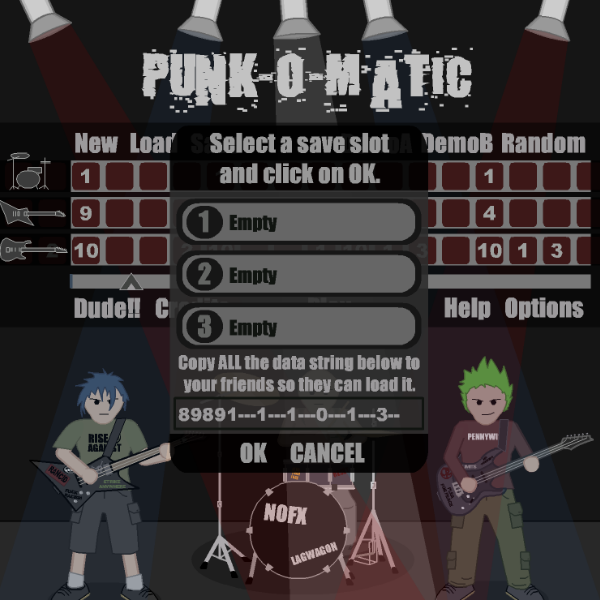 The one and only Punk-o-Matic! 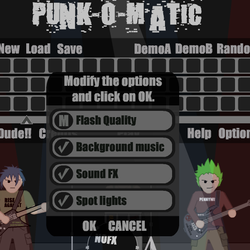 Easily create some ear shattering punk music using pre-made riffs! 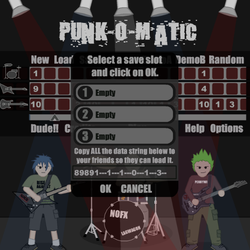 Save & share your songs with your friends and the community! Be sure to check it all out dooooooooooood! 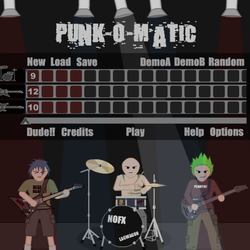 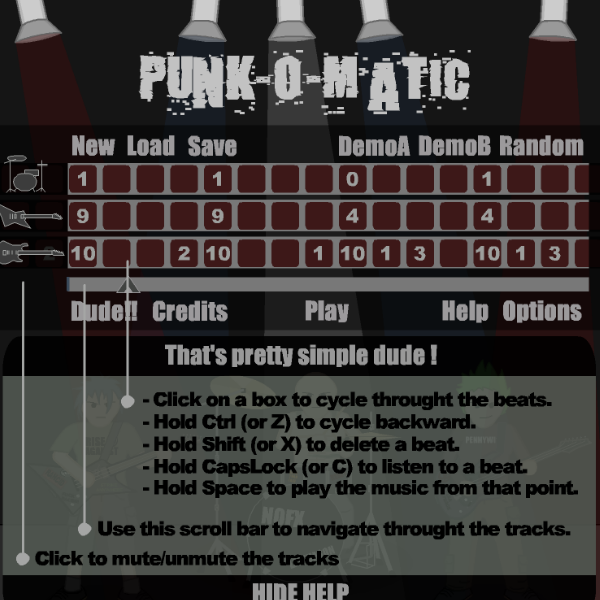 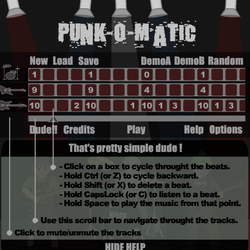 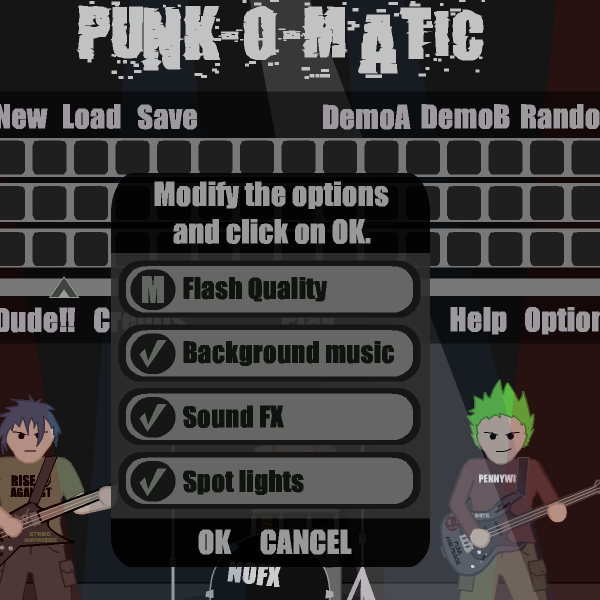 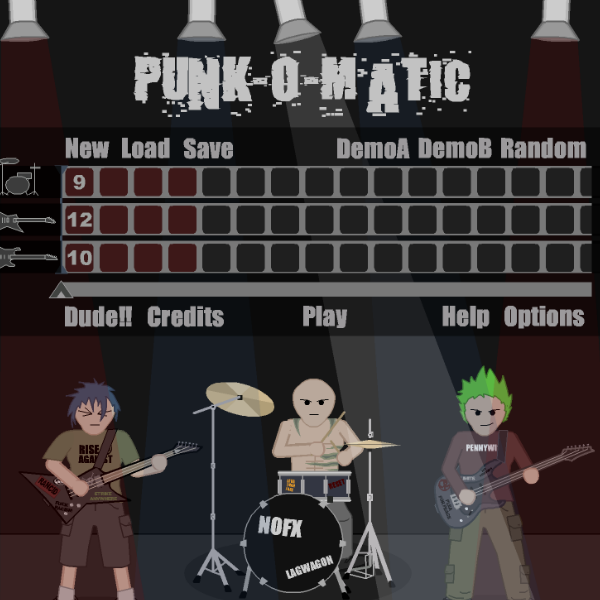 Punk-o-Matic 2 is out but POM1 is much simpler & easier to use.